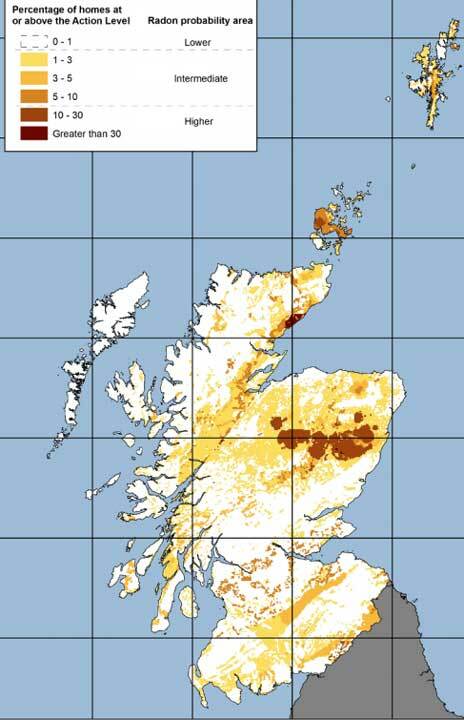 The PHE and British Geological Society have produced a set of national maps that give an indication of the areas that have a higher radon potential. The darker the area, the higher the potential. However, the only way to be really sure is to perform a postcode assessment. Radon Action experts are ready to assist you – it all starts with a free initial assessment. 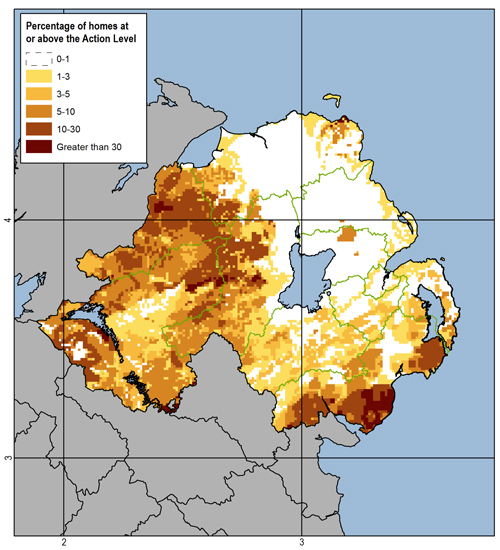 Certain areas of the country are more prone to radon than others. To tackle this, the Health Protection Agency (HPA) proposed a control strategy creating a radon ‘Action Level’ in affected areas. When radon reaches a certain concentration, action must be taken to reduce it. The percentages you see below shows the radon potential risk percentage. The higher the number, the greater the risk from radon over-exposure. Every address has a radon potential associated with it. Each blocky area you see on a radon maps is a 1km grid square that will have a designated risk for the whole area. However there are variations in each square as it’s the highest risk that’s shown – it’s only through a postcode search that you can discover the individual risk of your address.